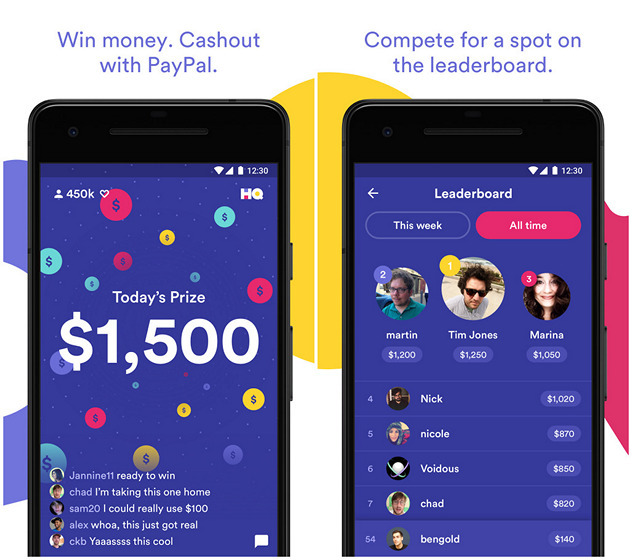 The hottest app-based quiz show, HQ Trivia, landed on Android earlier this month, and although it’s still listed as an ‘Unreleased’ version, it already has over half a million installs on the Google Play Store. However, while the app had a strong US-focus up until now, requiring users to answer questions meant for US audiences, fans in the UK will be happy to know that a British version of the app has now been announced by the app’s developers, Intermedia Labs. According to the Express, the UK version of the game show will be hosted by journalist Sharon Carpenter, who has earlier worked for BBC World News America and Black Entertainment Television. While the game’s format will remain similar, the cash prize will apparently be smaller in the UK version mostly because it is expected to cater to a smaller audience than its US counterpart. HQ Trivia, in case you’re unaware, debuted on iOS last October, and has quickly earned a dedicated fan following around the world. It features live, interactive trivia shows that allow winning participants to win real money. Hosted by comedian Scott Rogowsky, the game takes place twice daily, with hundreds of thousands of players each day competing for the cash prizes. Last Sunday was the biggest day for the app, with over 1.6 million people from around the world trying their luck at winning a significantly-enhanced prize pot of $15,000, with the prize money being shared between all the players who answered 15 successive questions correctly. The normal prize money for each game hovers around the $1,500 mark, with players requiring to answer 12 questions correctly. In case you’re already hooked onto HQ Trivia, do let us know your thoughts about the game, and in case you’re yet to give it a shot, you can head on over to either the App Store or the Play Store right now to download the game for your device.